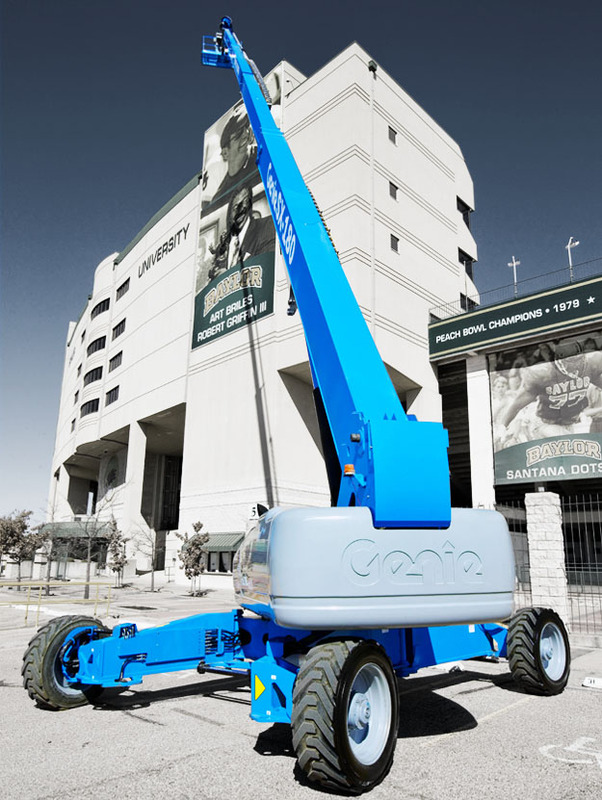 The Genie® SX-180 boom lift is the highest reaching self-propelled boom lift in the Genie Super Boom™ lineup, capable of reaching an astonishing 180 feet (54.86 m). 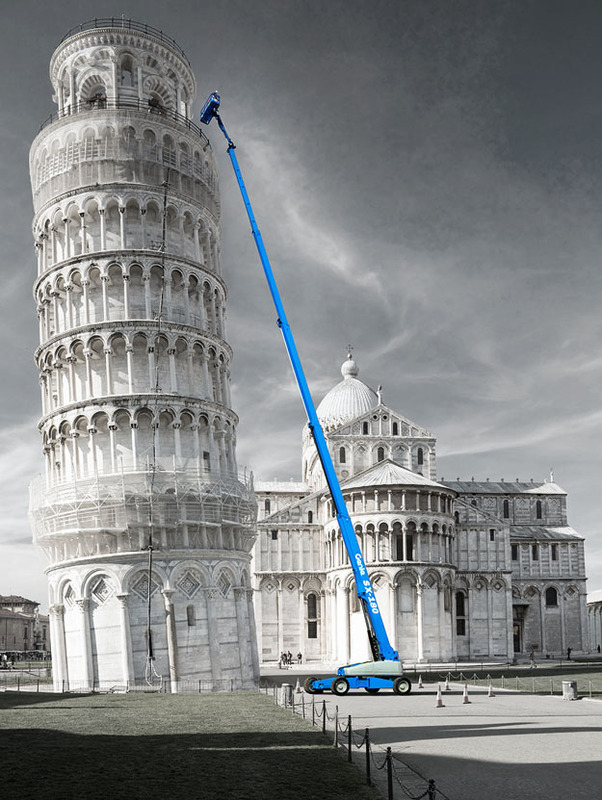 The SX-180 is built not only to be our tallest boom lift, but to safely and quickly lift operators. Developing a completely new product to meet a record breaking height requirement is a demanding assignment. 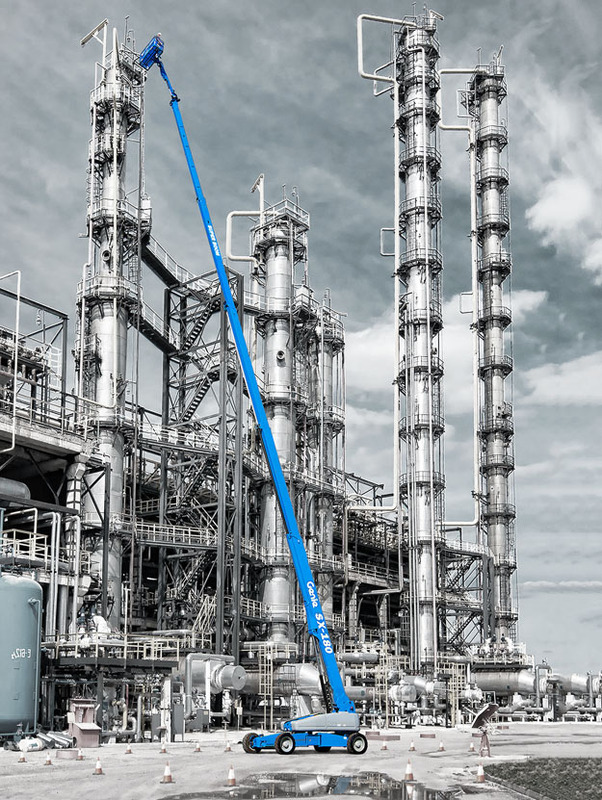 Delivering world class performance within the constraints of stability, transport and ease of setup is the testing mission… the Genie® SX-180 is the definitive solution. It offers industry leading height, exceptional working envelope and ability to drive at full height, all on a newly design X-Chassis. 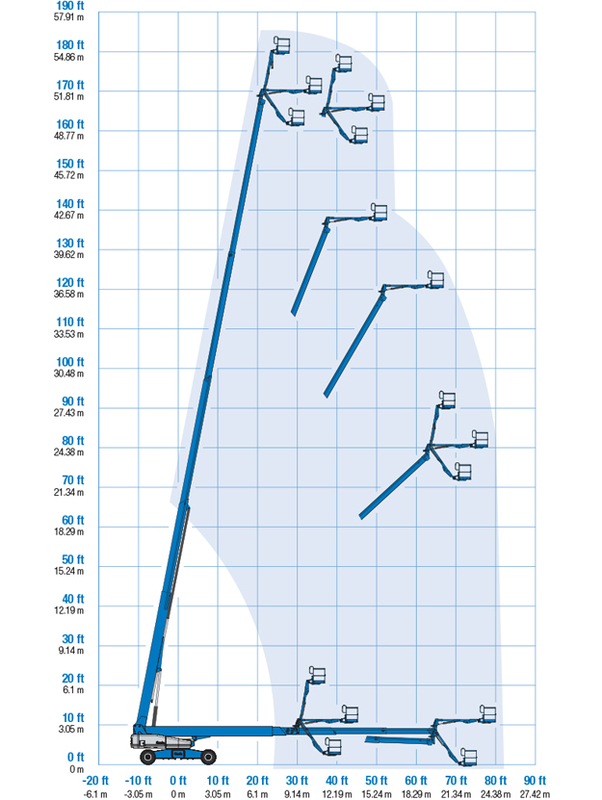 No other products in the mobile boom lift industry lift as high. 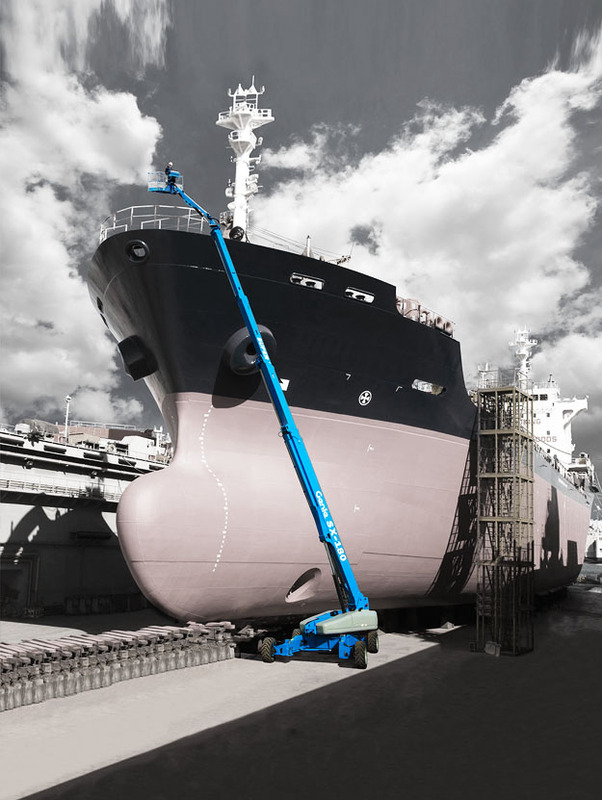 The SX-180 boom lift is a specially adapted Super Boom that is ideally suited for a huge range of industries: construction, maintenance, telecommunications, gas and oil refineries, chemical maintenance, and large utilities. 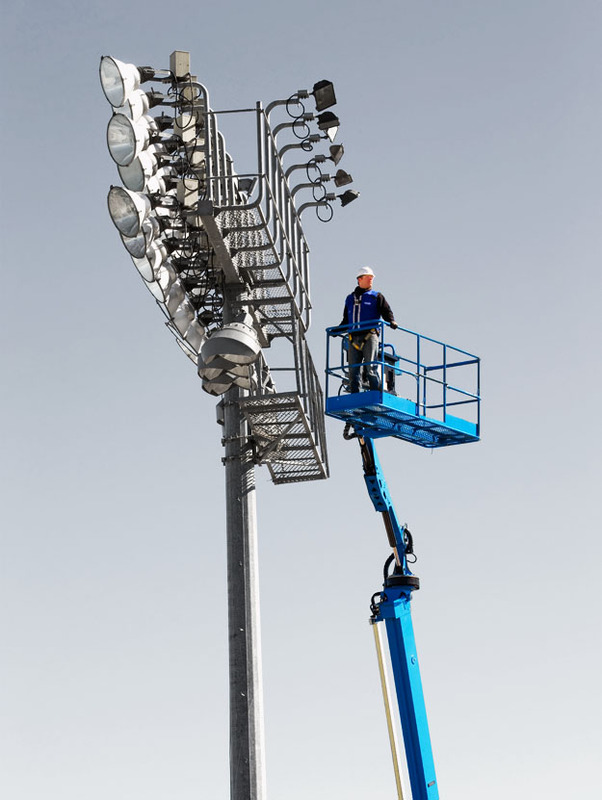 With 54.86 m (180 ft) of vertical reach combined with 24.38 m of horizontal outreach, the SX-180 boom lift delivers a working envelope that provides excellent access and versatility that reaches a 38.6 m vertical and 21.34 m horizontal point for even the most extreme tasks. Our unique XChassis system both extends and retracts, allowing the SX-180 boom lift to provide excellent stability in a profile narrow enough for transport on a standard trailer without requiring over-width or over-height permits. 60° of horizontal and 135° of vertical jib rotation coupled with 160° of platform rotation makes it easy to get to work. The robust slew bearing and worm drive arrangement provides smooth operation for precision movements. 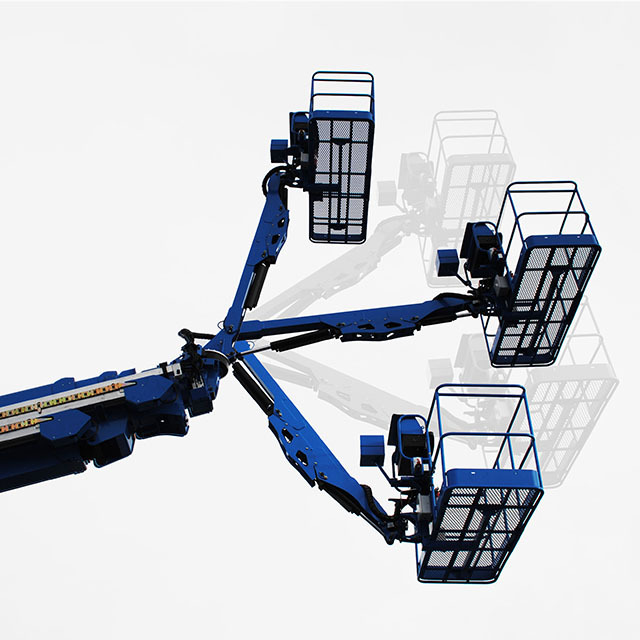 The turntable features continuous 360° rotation, giving the SX-180 boom lift a large, flexible working envelope. The platform controls, based on our smaller models’ control systems, are comprised of toggle switches and fully proportional jib and boom controls, while the ground controls feature tactile membrane switches and easy-to-see function diagram layout. The SX-180 boom lift is equipped with a 2.44 m X .91 m platform (8 ft X 3 ft) with an unrestricted weight capacity of 340.2 kg (750 lbs). It automatically adjusts and remains level as the boom moves to provide ease of use, safety, and an unrestricted reach to get two workers and gear anywhere within the working envelope. With a storage width of only 2.49 m (8 ft 2 in) and length of 14.5 m (42 ft 7 in), the SX-180 offers superb reach while still remaining easy to store and trailer-friendly. 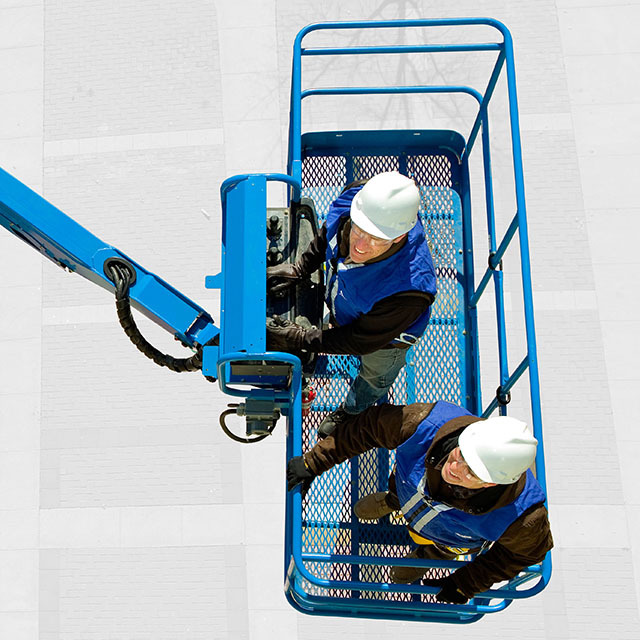 The SX-180 boom lift is designed so that all of the important components and systems are easy to access for maintenance. Combined with fuel efficiency and generator specs that keep the SX-180 out in the field longer, this lift is designed for limited downtime and ultimate productivity. 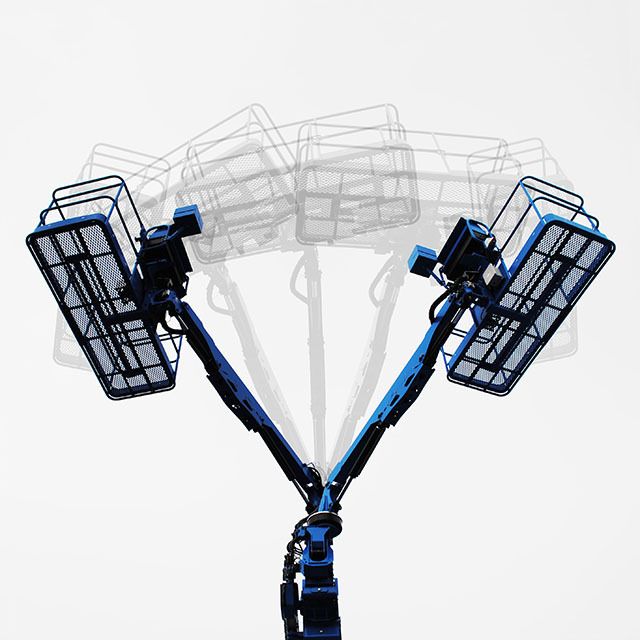 Genie SX-180, taking you where you were not able to go before in a mobile boom!